Millions of people across the country suffer from tooth loss. Whether you are missing teeth due to poor dental hygiene, injury, or gum disease, dental implants in Lake Katrine can help you restore your smile. 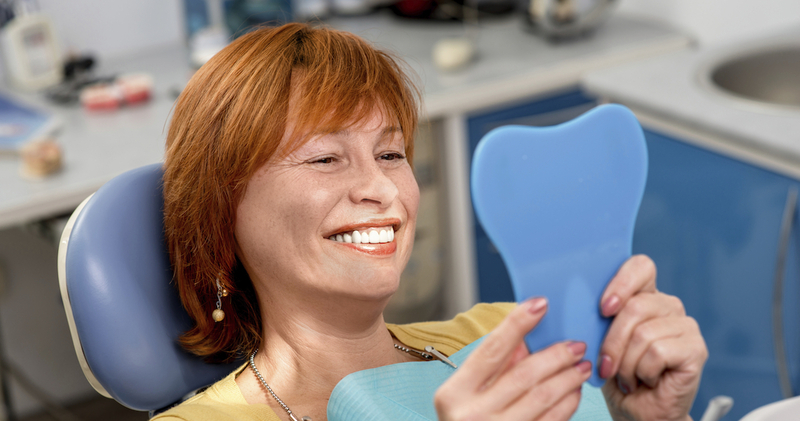 If you’re considering a dental implants procedure, read on to learn more about the process and decide if they are right for you. Dental implants are constructed to match and function just like natural teeth. Most patients receive endosteal dental implants, which are placed into the jawbone and secured with titanium posts. However, if you are unable to support a bone graft, your dentist may recommend subperiosteal dental implants. During this type of dental implant surgery, the dental implants are placed under the patient’s gum line but above the jaw. When you visit our office, your implant dentist will help you decide which type of dental implants are right for you. 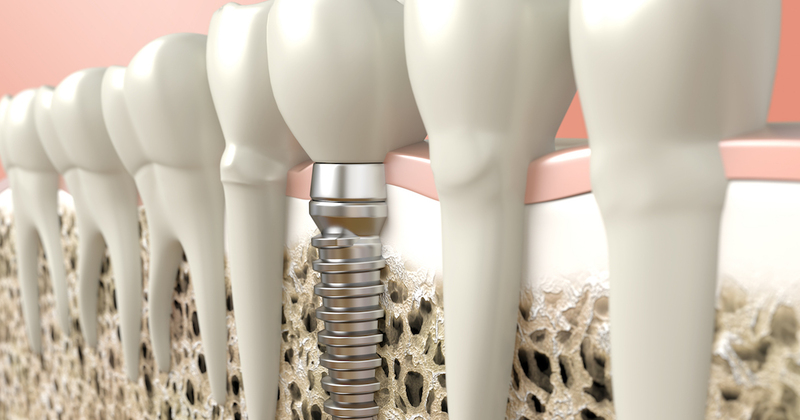 The cost of dental implants is a cause of concern for many people. Typically, the dental implants cost depends on whether you require endosteal or subperiosteal dental implants. The dental implants cost also includes medical materials and any additional surgeries that are required throughout your dental implants procedure. If your dental implants insurance doesn’t cover the full cost of the surgery, we offer several financing options for your convenience. If you’re ready to restore your brilliant smile, give us a call to learn more about our affordable dental implants. Typical plans do not provide enough dental implants insurance to cover the full cost of a dental implants procedure. At our practice, we aim to provide affordable dental implants to all patients, regardless of their income level or dental implant insurance coverage. Our staff members can show you how to manage the cost of dental implants with insurance or without. Find out more about our dental insurance implants by giving our office a call. The dental implants procedure typically is quite straightforward. During the process of dental implants surgery, the dentist prepares the site and inserts the endosteal or subperiosteal dental implants. Then, abutments are used to hold the dental implants and natural-looking crowns in place. Some patients may experience mild dental implant procedure pain as their jaw heals and bonds with the dental implants. Moderate dental implant procedure pain is managed with over-the-counter pain relievers and local anesthesia. If you have any questions about the dental implant procedure steps, be sure to consult with your dentist. If lost teeth are negatively influencing your daily activities, don’t wait. Call us today to learn more about our durable and budget-friendly dental implants. Caring for dental implants in Lake Katrine is a simple process. After your jaw heals, dental implants can be cleaned with mouthwash, toothpaste, and floss. Regular dental exams also can help you maintain a brilliant smile. Should you have any questions regarding dental implant care after surgery, your implant dentist will be able to provide information. One of the top questions our office receives is, “Who needs dental implants?” Any person who is missing teeth may be an excellent dental implant candidate. Whether you are missing one tooth or several, we can help. Visit our office today to find out if you’re a candidate for a dental implant surgery. If you’re considering dental implant surgery, you might wonder, “How long does a dental implant last?” An investment in your oral health, dental implants can last for several decades. Your commitment to regular dental exams and proper oral hygiene will help determine how long dental implants last. Be sure to schedule regular appointments with our office to help maintain your dental implants in Lake Katrine. I was seen promptly, the staff friendly, knowledgeable and efficient and the doctor was outstanding! Top notch dental office! Everyone is very professional and treats you like a friend, not a number. Painless dentistry with a smile!